RUPERT EDGAR GRIFFIN was born 06 Jan 1911 in Kaponga, Taranaki and his birth was registered at Riverlea. 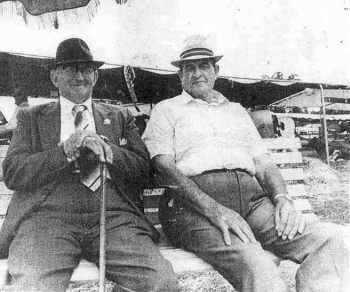 Rupert died 16 Jun 1986 in Hawera Hospital, Taranaki, aged 75 years after a farming career that spanned 45 years at Inaha. He is buried at the Hawera Lawn Cemetery Block XCV1, Plot 26. He married PHYLLIS DOROTHY STALLARD in 1941 in Stratford, the daughter of ERNEST STALLARD and FANNY POPE. Phyllis was born in Earles Croom, Worcester. Rupert was brought up at Riv erlea and his parents moved to the Inaha district in 1913. 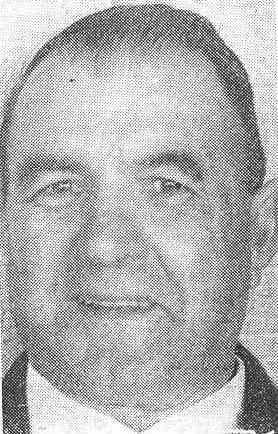 He became a well-known cattle breeder and after farming 45 years he was made an honary member of the national milking shorthorn breeding association of which for 16 years he had been a delegate on the dominion council and in the early 1960's, became it's national president . He showed his stock at all the A and P Taranaki Shows taking his family with him and winning countless ribbons and prizes. He jokingly said he was made a life member because it saved paying him prize money! 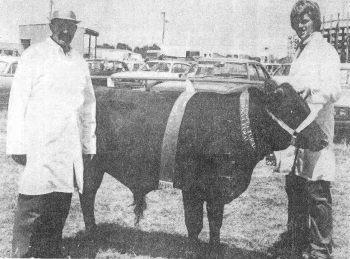 He judged at shows all over New Zealand eg Christchurch, Auckland and was the only member of the association to have twice judged the annual royal show for cattle breeders. Rupert was in charge as project organiser for the Hawera Rotary Club in 1973 and accompanied a shipment of 80 calves received from dairy farmers in the province destined for the Hango Agricultural College at Tonga setting up 2 yr agricultural study course for students in farm management and handling cattle. Rupert's interests extended to the South Taranaki Car Club, South Taranaki Motorcycle Club and the New Plymouth Speedway. 2. FAY MARIA GRIFFIN married EDMUND GEORGE HALL, son of RONALD HALL and KATHLEEN ALVIS, born at Manaia. 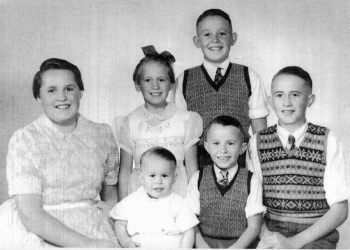 Hall daughters are Tania Maria, Tara Fay, Debra Ann, Jardine Nicola and Kelly Fay Marie Hall. 4. DIANE PHYLLIS GRIFFIN married ARTHUR ROY ROPER at Hawera, son of ROBERT ROPER and GRACE FARQUHAR who was born at New Plymouth. They have four children - Lisa Margaret, Jacqueline Anne, Stacey Marie and Glen Damon Roper. 5. 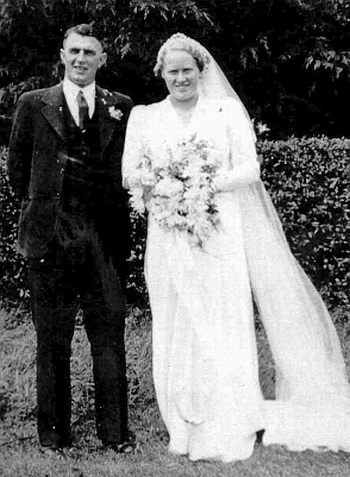 ANDREW HERBERT GRIFFIN married COLLEEN JOYCE SELBY at Eltham, the daughter of ALAN SELBY and EDNA CAPPER. She was born at Stratford. Their children are Dean Michael and Donna Maree Griffin. 6. OWEN LYALL GRIFFIN was born Nov 1954 in Hawera, Taranaki, and died 11 Aug 2004 at Hawera, aged 49 years where he is buried at the Hawera Lawn Cemetery Plot 27 Block 3. He married COLLEEN ROSEANNE FORD at Opunake, the daughter of NOEL FORD and DELIA MULLIN. 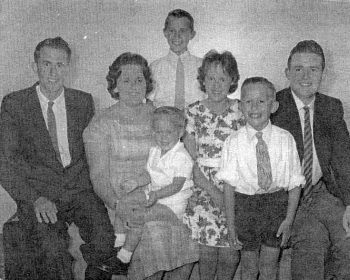 Owen and Colleen's family - Rayleen, Rick Lyall, Bowen Rupert and Cindy Ann Griffin. 7. 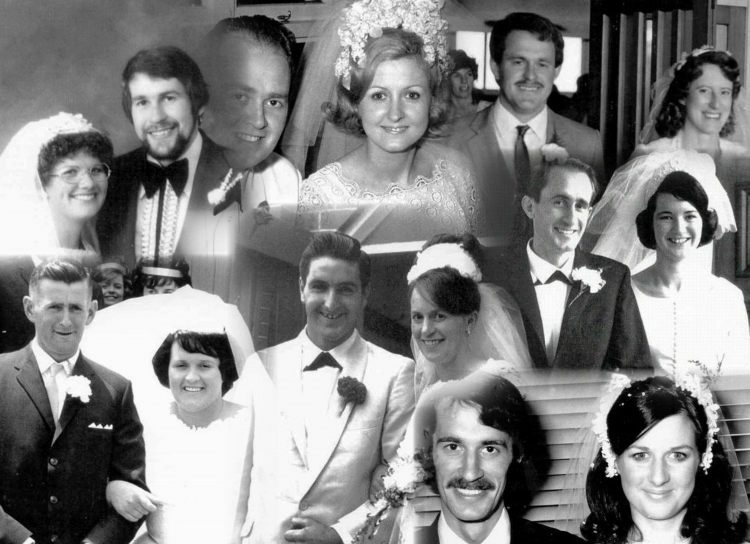 GORDON FRANCIS STALLARD GRIFFIN married NGAIRE KYLE in Tauranga - Ngaire was born at Te Kuiti, the daughter of DONALD KYLE and CLARICE BRYAN. Their family - Melissa Jane, Craig Gordon, Caley Donald and Amelia Ellen Griffin.